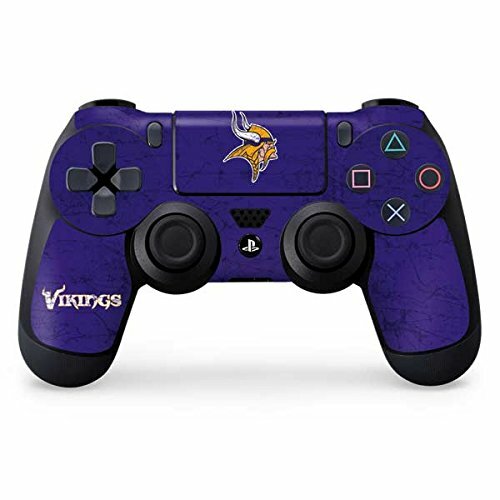 The NFL Minnesota Vikings PS4 Controller Skin is made from a 3M durable auto-grade vinyl for an ultimate lightweight PS4 Controller decal protection without the bulk. Every Skinit Minnesota Vikings skin is officially licensed by NFL for an authentic brand design. The Minnesota Vikings Minnesota Vikings Sony PS4 Controller decal skin is engineered to feature vibrant photo quality designs and to perfectly fit your PS4 Controller The Minnesota Vikings Minnesota Vikings skin can be easily applied and removed from your PS4 Controller with no residue, no mess and no fuss due to 3M adhesive backing. This makes it even easier for you to mix up your PS4 Controller style as much as you want to keep your device feeling new. All Skinit made decal skins are cut and crafted with everyday PS4 Controller uses in mind so that each Minnesota Vikings skin offers a premium feel with a thin functional protection. 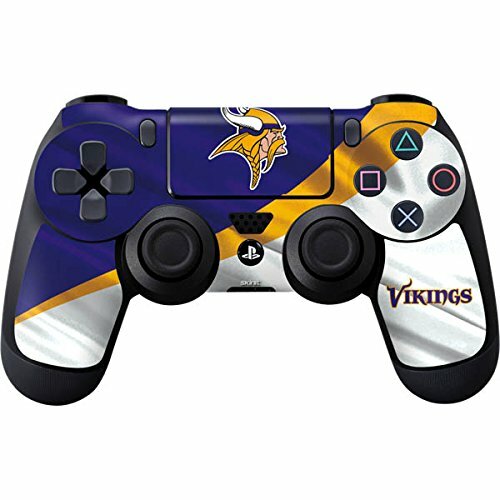 Shop all officially licensed NFL Minnesota Vikings Sony PS4 Controller skins made by Skinit and make it yours today! The NFL Minnesota Vikings Xbox One Controller Skin is made from a 3M durable auto-grade vinyl for an ultimate lightweight Xbox One Controller decal protection without the bulk. Every Skinit Minnesota Vikings skin is officially licensed by NFL for an authentic brand design. The Minnesota Vikings Microsoft Xbox One Controller decal skin is engineered to feature vibrant photo quality designs and to perfectly fit your Xbox One Controller The Minnesota Vikings skin can be easily applied and removed from your Xbox One Controller with no residue, no mess and no fuss due to 3M adhesive backing. This makes it even easier for you to mix up your Xbox One Controller style as much as you want to keep your device feeling new. All Skinit made decal skins are cut and crafted with everyday Xbox One Controller uses in mind so that each Minnesota Vikings skin offers a premium feel with a thin functional protection. 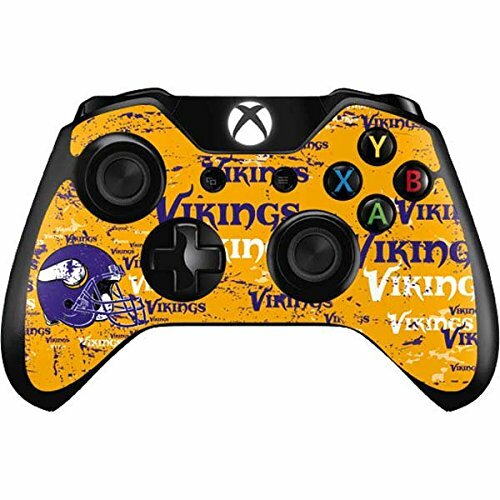 Shop all officially licensed NFL Minnesota Vikings Microsoft Xbox One Controller skins made by Skinit and make it yours today! The NFL Minnesota Vikings Xbox 360 (Includes HDD) Skin is made from a 3M durable auto-grade vinyl for an ultimate lightweight Xbox 360 (Includes HDD) decal protection without the bulk. Every Skinit Minnesota Vikings skin is officially licensed by Minnesota Vikings for an authentic brand design. The Minnesota Vikings Microsoft Xbox 360 (Includes HDD) decal skin is engineered to feature vibrant photo quality designs and to perfectly fit your Xbox 360 (Includes HDD) The Minnesota Vikings skin can be easily applied and removed from your Xbox 360 (Includes HDD) with no residue, no mess and no fuss due to 3M adhesive backing. This makes it even easier for you to mix up your Xbox 360 (Includes HDD) style as much as you want to keep your device feeling new. All Skinit made decal skins are cut and crafted with everyday Xbox 360 (Includes HDD) uses in mind so that each Minnesota Vikings skin offers a premium feel with a thin functional protection. 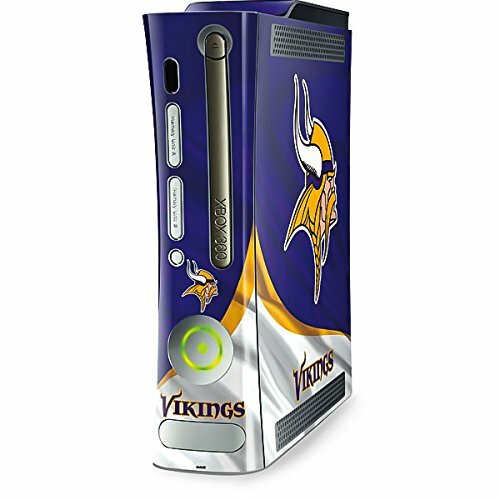 Shop all officially licensed NFL Minnesota Vikings Microsoft Xbox 360 (Includes HDD) skins made by Skinit and make it yours today! The NFL Minnesota Vikings Xbox 360 Wireless Controller - Blast Skin is made from a 3M durable auto-grade vinyl for an ultimate lightweight Xbox 360 Controller decal protection without the bulk. Every Skinit Minnesota Vikings skin is officially licensed by Minnesota Vikings for an authentic brand design. The Minnesota Vikings - Blast Microsoft Xbox 360 Controller decal skin is engineered to feature vibrant photo quality designs and to perfectly fit your Xbox 360 Controller The Minnesota Vikings - Blast skin can be easily applied and removed from your Xbox 360 Controller with no residue, no mess and no fuss due to 3M adhesive backing. This makes it even easier for you to mix up your Xbox 360 Controller style as much as you want to keep your device feeling new. All Skinit made decal skins are cut and crafted with everyday Xbox 360 Controller uses in mind so that each Minnesota Vikings skin offers a premium feel with a thin functional protection. 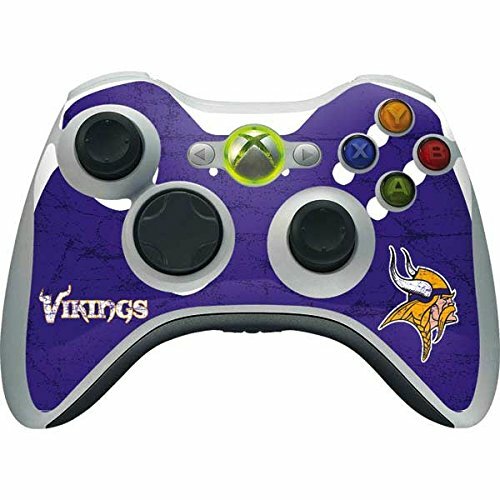 Shop all officially licensed NFL Minnesota Vikings Microsoft Xbox 360 Wireless Controller skins made by Skinit and make it yours today! Give your console the look you like! Make it look unique and stylish with this console and controllers skins set! The NFL Minnesota Vikings Xbox One Controller Skin is made from a 3M durable auto-grade vinyl for an ultimate lightweight Xbox One Controller decal protection without the bulk. Every Skinit Minnesota Vikings skin is officially licensed by Peter Horjus NFL for an authentic brand design. The Minnesota Vikings - Blast Microsoft Xbox One Controller decal skin is engineered to feature vibrant photo quality designs and to perfectly fit your Xbox One Controller The Minnesota Vikings - Blast skin can be easily applied and removed from your Xbox One Controller with no residue, no mess and no fuss due to 3M adhesive backing. This makes it even easier for you to mix up your Xbox One Controller style as much as you want to keep your device feeling new. All Skinit made decal skins are cut and crafted with everyday Xbox One Controller uses in mind so that each Minnesota Vikings skin offers a premium feel with a thin functional protection. 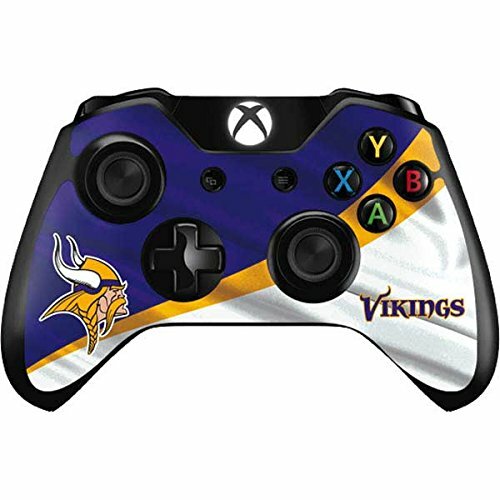 Shop all officially licensed NFL Minnesota Vikings Microsoft Xbox One Controller skins made by Skinit and make it yours today! The NFL Minnesota Vikings Wii Remote Controller - Blast Skin is made from a 3M durable auto-grade vinyl for an ultimate lightweight Wii Remote Controller decal protection without the bulk. Every Skinit Minnesota Vikings skin is officially licensed by Minnesota Vikings for an authentic brand design. The Minnesota Vikings - Blast Nintendo Wii Remote Controller decal skin is engineered to feature vibrant photo quality designs and to perfectly fit your Wii Remote Controller The Minnesota Vikings - Blast skin can be easily applied and removed from your Wii Remote Controller with no residue, no mess and no fuss due to 3M adhesive backing. This makes it even easier for you to mix up your Wii Remote Controller style as much as you want to keep your device feeling new. All Skinit made decal skins are cut and crafted with everyday Wii Remote Controller uses in mind so that each Minnesota Vikings skin offers a premium feel with a thin functional protection. 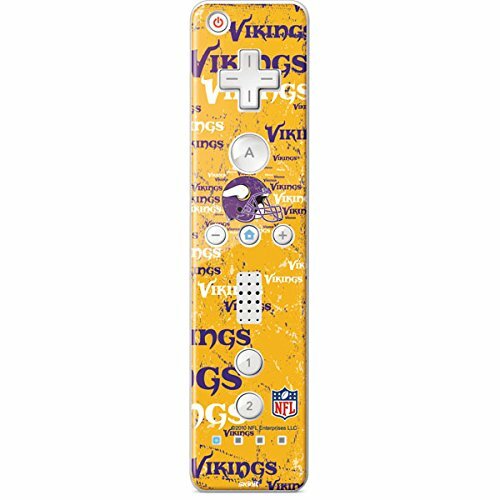 Shop all officially licensed NFL Minnesota Vikings Nintendo Wii Remote Controller skins made by Skinit and make it yours today! The NFL Minnesota Vikings Xbox 360 Wireless Controller Distressed Skin is made from a 3M durable auto-grade vinyl for an ultimate lightweight Xbox 360 Controller decal protection without the bulk. Every Skinit Minnesota Vikings skin is officially licensed by Minnesota Vikings for an authentic brand design. The Minnesota Vikings Distressed Microsoft Xbox 360 Controller decal skin is engineered to feature vibrant photo quality designs and to perfectly fit your Xbox 360 Controller The Minnesota Vikings Distressed skin can be easily applied and removed from your Xbox 360 Controller with no residue, no mess and no fuss due to 3M adhesive backing. This makes it even easier for you to mix up your Xbox 360 Controller style as much as you want to keep your device feeling new. All Skinit made decal skins are cut and crafted with everyday Xbox 360 Controller uses in mind so that each Minnesota Vikings skin offers a premium feel with a thin functional protection. 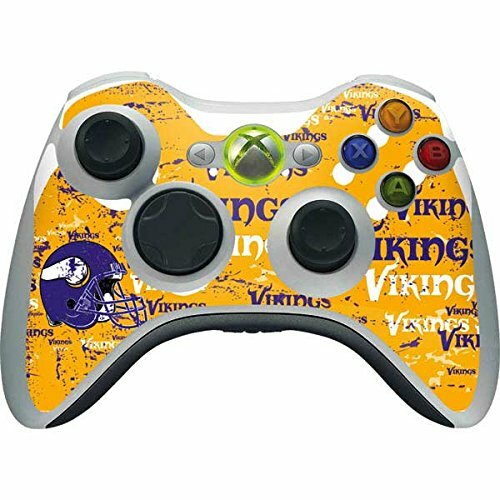 Shop all officially licensed NFL Minnesota Vikings Microsoft Xbox 360 Wireless Controller skins made by Skinit and make it yours today! The NFL Minnesota Vikings PS3 Dual Shock wireless controller - Blast Skin is made from a 3M durable auto-grade vinyl for an ultimate lightweight PS3 controller decal protection without the bulk. Every Skinit Minnesota Vikings skin is officially licensed by Minnesota Vikings for an authentic brand design. The Minnesota Vikings - Blast Sony PS3 controller decal skin is engineered to feature vibrant photo quality designs and to perfectly fit your PS3 controller The Minnesota Vikings - Blast skin can be easily applied and removed from your PS3 controller with no residue, no mess and no fuss due to 3M adhesive backing. This makes it even easier for you to mix up your PS3 controller style as much as you want to keep your device feeling new. All Skinit made decal skins are cut and crafted with everyday PS3 controller uses in mind so that each Minnesota Vikings skin offers a premium feel with a thin functional protection. 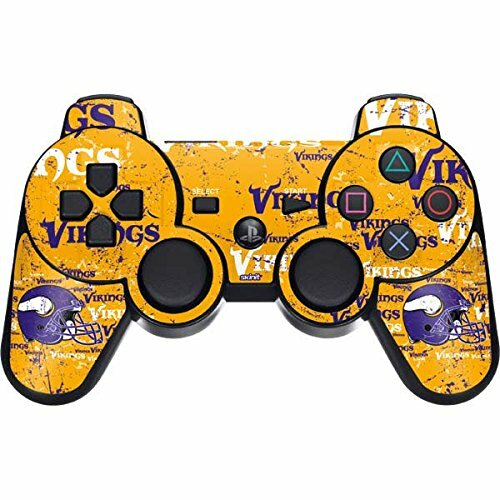 Shop all officially licensed NFL Minnesota Vikings Sony PS3 Dual Shock wireless controller skins made by Skinit and make it yours today! Customize your gaming device with this NFL branded skin. Ski nit uses state-of-the art digital presses to provide vibrant photo quality graphics. Skins are made with a durable, automotive-grade premium vinyl for easy application and residue-free removal. Ski nit skins are designed to perfectly fit the unique contour of your device. They are ultra low-profile, ensuring they will not interfere with docks, chargers or other accessories. Please note: this product is NOT a rubber, silicone, gel, plastic, leather or a hard case. 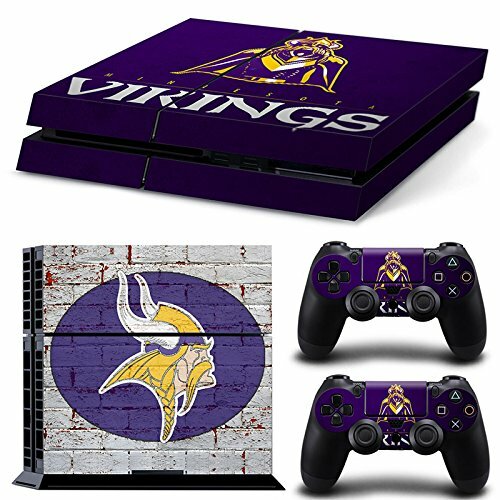 Compare prices on Minnesota Vikings Vinyl Skin at ShopPlanetUp.com – use promo codes and coupons for best offers and deals. We work hard to get you amazing deals and collect all available offers online and represent it in one place for the customers. Now our visitors can leverage benefits of big brands and heavy discounts available for that day and for famous brands.